Welcome to Dr. Bahari's Affinity Cosmetic and Laser Center's Website! Our goal is to provide you with valuable information and to support and guide you in your quest for a better appearance. You may be surprised to learn that traditional cosmetic surgery is being replaced by simple injections that produce results compatible with those produced by plastic surgery. Non-surgical cosmetic procedures present patients with a more attractive alternative; they are virtually painless, require no downtime or general anesthesia and are much more affordable. 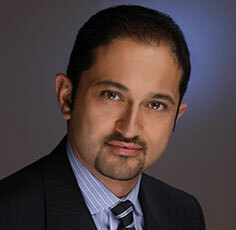 Dr. Bahari is one of the preeminent physicians in the area of non-surgical cosmetic procedures in the L.A. area. Dr. Bahari understands that the decision to improve your appearance isn't made lightly and that's why he provides Initial Consultations. In addition - and in support of your decision-making process - Dr. Bahari holds Free Informational Seminars on non-surgical cosmetic procedures. If you'd like to attend one, please subscribe to our newsletter. Dr. Bahari distinguished himself as one of the most innovative physicians in the art of non- and minimally-invasive cosmetic procedures that will meet your expectations and fit your budget. Dr. Bahari's Affinity Cosmetic & Laser Center is located in Woodland Hills, CA 91364 (Southeast corner of the Target parking lot). We serve patients of the Greater Los Angeles area - appointed to meet the highest standards. We are on Ventura Blvd., just east of De Sota Ave off the 101 Ventura Freeway. Only minutes from the surrounding cites of Calabasas, Oak Park, Agoura, Agoura Hills, Malibu, Westlake Village, Reseda, Tarzana, Moorpark, West Hills, Encino, Hidden Hills, Thousand Oaks, Canoga Park, SF Valley, Studio City, Chatsworth, West Hollywood, Beverly Hills, and Santa Monica. Surrounding zip codes include 91302, 91377, 91301, 90265, 91361, 91335, 91356, 93021, 91307, 91316, 91302, 91320, 91303, 91604, 91311, 90069, 90209 and 90404.